Share the post "Learn How to Get Rid Of Uterine Fibroids"
The Fibroid Treatment Collective, experts on fibroids, will host a free evening seminar on the latest advancements in treating fibroids on October 9th. 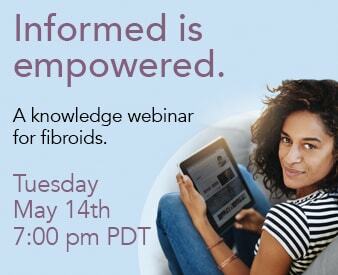 Bruce McLucas, M.D., founder of the Los Angeles-based Fibroid Treatment Collective (https://www.fibroids.com) and an expert on fibroids, will host a free evening seminar on the latest advancements in treating fibroids. The seminar will be held on Saturday, October 9 at 10:00 a.m. (rescheduled from September 1st), at the Four Points By Sheraton, 5990 Green Valley Circle, Culver City, CA.Seating is limited. Reservations can be made online or by calling 866.362.6463. The doctor will cover fibroids in detail with an emphasis on maintaining fertility, fibroids during pregnancy, the exceptionally high risk of fibroids in African American women, as well as uterine artery embolization, a non-surgical treatment for symptomatic fibroids that allows women to retain fertility. Dr. McLucas is a Los Angeles-based OB-GYN who practices at Ronald Reagan UCLA Medical Center and serves as an Assistant Clinical Professor in the Department of Obstetrics and Gynecology at the David Geffen School of Medicine at UCLA. One of the pioneers in developing uterine artery embolization, Dr. McLucas has had a career-long interest in minimally invasive therapy, serving as president and charter member of the Society for Minimally Invasive Therapy. Dr. McLucas founded the Los Angeles-based Fibroid Treatment Collective 12 years ago, and his team performed the first embolization in the United States at UCLA in 1994. For more information, click here to register online for the seminar or call 1.866.362.6463.